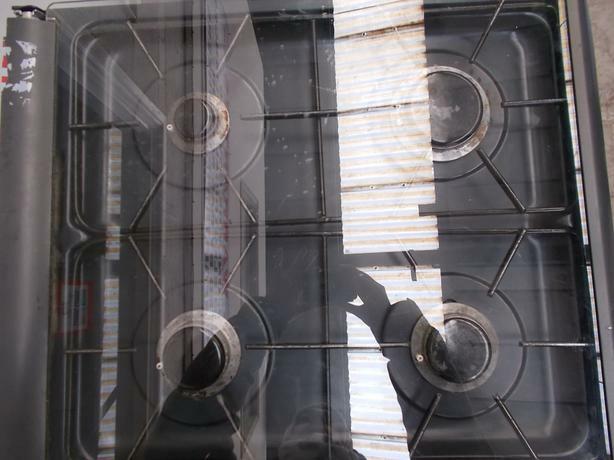 Hotpoint G756AN Gas Cooker. 50CM WIDE. DOUBLE DOORS WITH TOP GRILL AND BOTTOM OVEN. FINISHED IN BLACK.